"You put something into the community and you harvest the dividends." 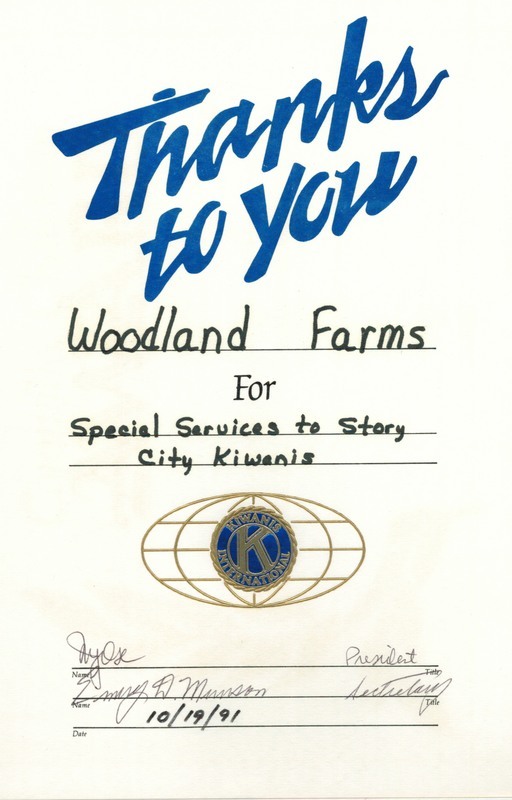 ​Fostering a healthy relationship with the community of Story City has aways been a priority for Woodland Farms. The Hermansons understand the importance of programs such as 4-H and FFA have on local students and children. Woodland Farms even used to offer tours of the dairy infrastructure to kindergarten classes. During the tours, children would get to see cows being milked and pet the baby calves. 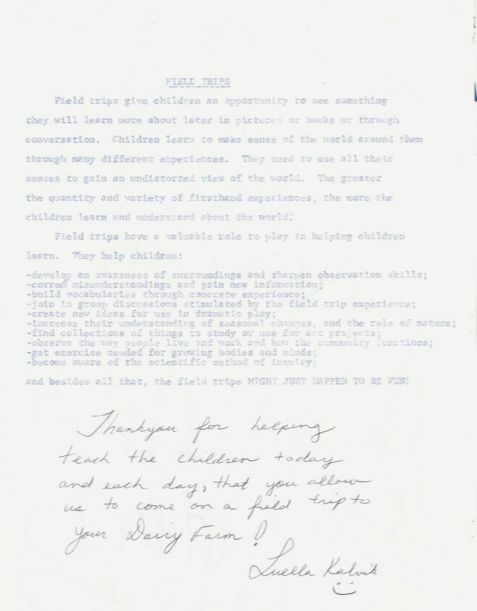 These tours taught the children the importance of hard work and the significant part farming has played in building the community of Story City. 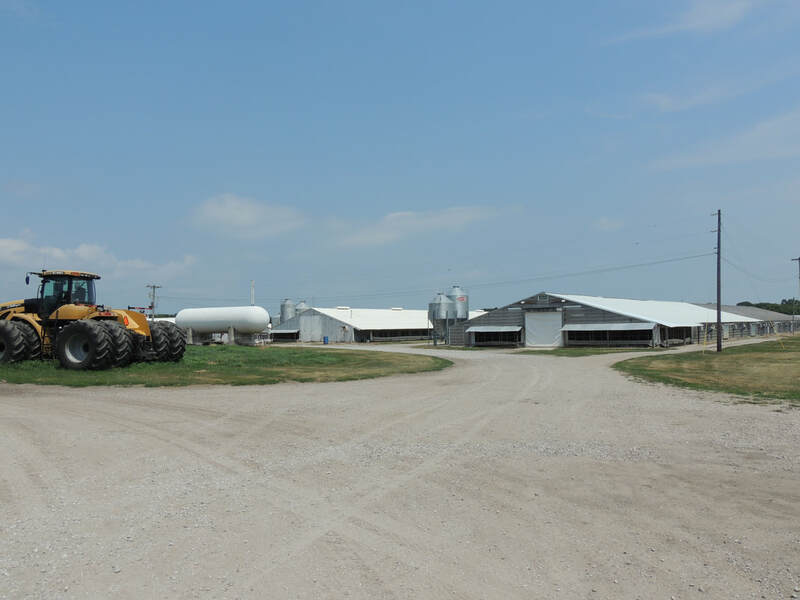 Woodland Farms has experienced a variety of changes since Peter Anderson first purchased the land in 1871. Besides expanding to over 4,000 acres, old infrastructure is often being repurposed. 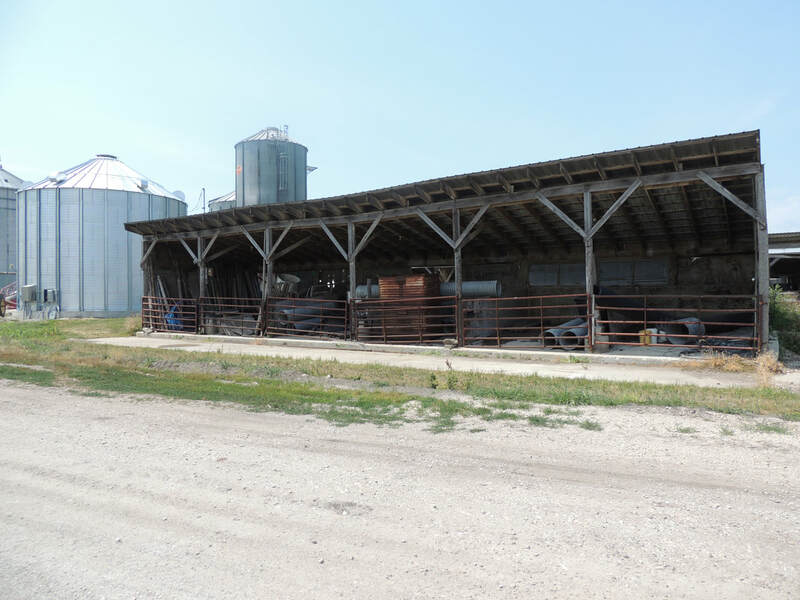 Sheds that used to be used as milking pens are now used for storage or to park farm equipment. 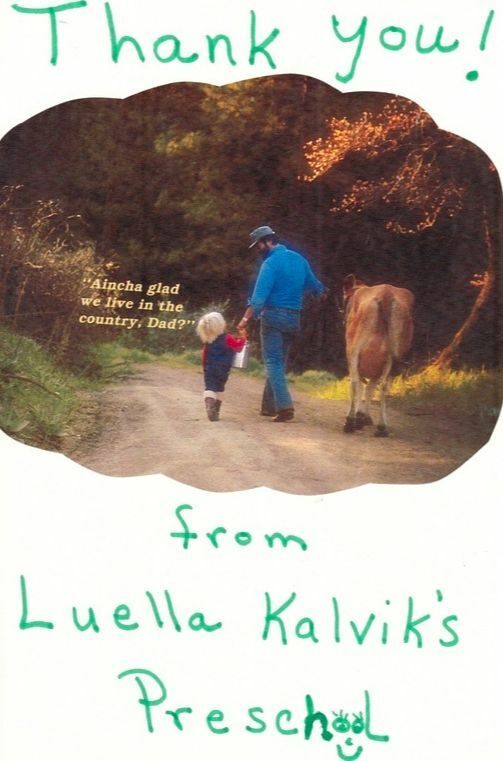 Since Woodland Farms quit dairy farming in 1998, there was no longer a need for milking stations. Instead of letting old buildings go to waste, Woodland Farms repurposes these spaces for current farming use. Although these turkey confinements are not new, the way they are utilized has adapted over the years. Back in the 1970's, ventilation for turkey confines was created through air ducts at each end of the confine roof. Now, ventilation is best created through open vents along the ends of the building. This allows the air to enter on one end and leave through the other. This allows a constant breeze for the turkeys, even on the hottest days. 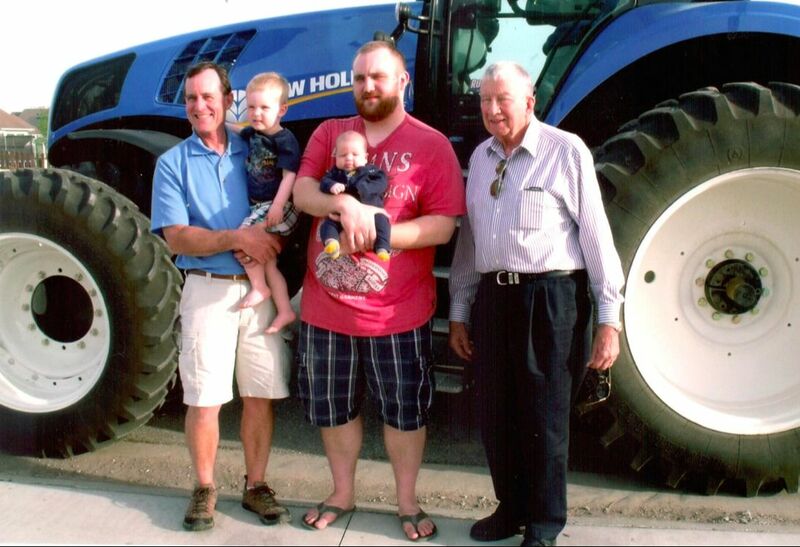 Six generations of Hermansons have grown up working on Woodland Farms. 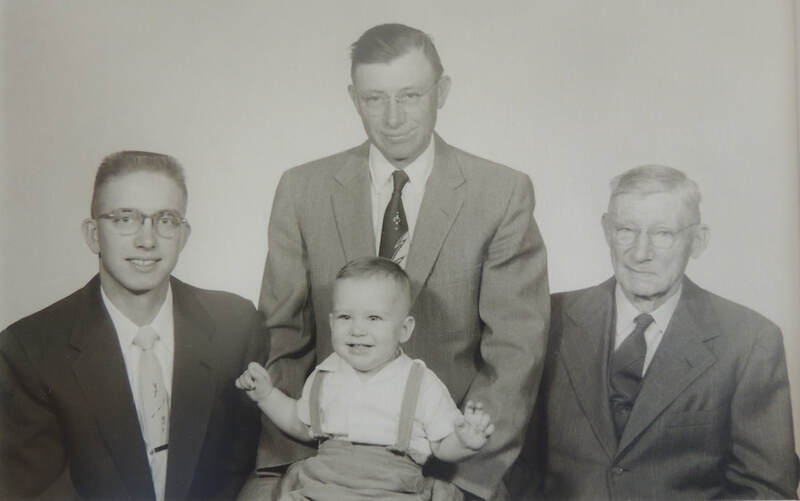 The photo on the left was taken in 1956 and displays four generations of Hermanson men. 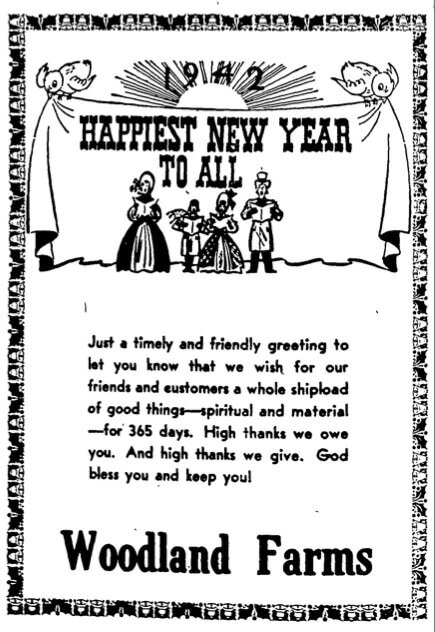 Walter Hermanson, a second generation member born in 1877, then Leonard Hermanson, a third generation member born in 1902, Peter Hermanson, a fourth generation member born in 1932, then the youngest is fifth generation Michael Hermanson, born in 1955. The photo on the right also displays four generations of Hermansons, but the oldest is Pete, a fourth generation family member. Mike, who is now 62 years old, stands next to his son Rhys who is sixth generation. The seventh generation of Hermansons are represented here with Connor and Leo, who are Rhys's sons.